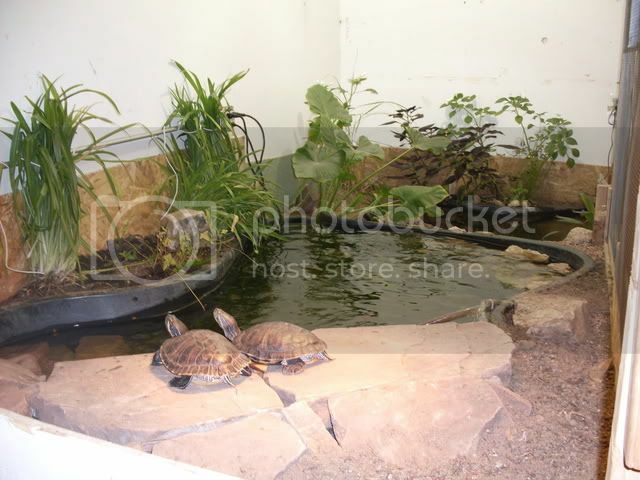 Indoor Turtle Pond – Way to keep the growing thoughts alive. 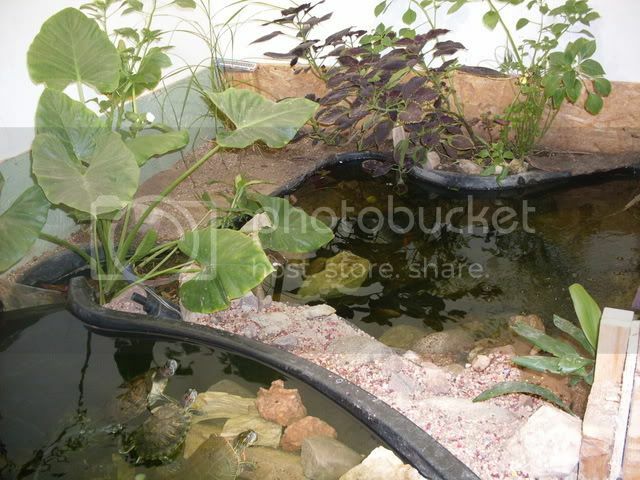 Just thought I would share a few pictures of this indoor turtle pond brought to you by Reptiscapes. Its freezing outside, yet in this garage its 70-80 degrees. There is a 400 Watt Metal Halide Growing light above the setup to provide the full spectrum for both plants and animals. There are two ponds in this setup. The smaller, lower pool was the original, yet was added onto to accomodate more turtles which reptiscapes has rescued and rehomed. Check out the Reptiscapes blog at http://reptiscapes.blogspot.com/ .